Thursday February 16th Rialto Police Department and Chief Deanda took actions against some of Rialto’s most dedicated and popular senior officers the department has. Multiple officers have been reported by those close to the department to have lost their job or are on the verge of losing their jobs. 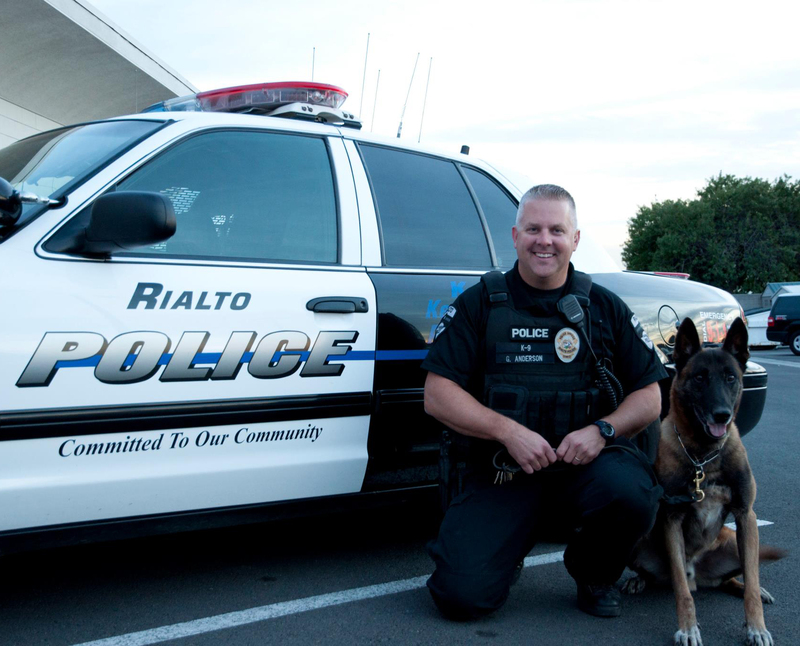 One of those confirmed to have lost their job is longtime K9 Officer Glenn Anderson who was fired from the Rialto Police Department late Thursday. Officer Glenn Anderson an expert in the realm of canine policing and SWAT work has been on paid leave for almost a year pending the results of an IA investigation into claims that he misused canine resources as well as failed to obtain proper authorization when securing resources for the Rialto Police Department K-9 program. When you put it like that it sounds worse than it was. K9 officer Anderson worked with a local boy scout troop and the Union Pacific Railroad K9 police organization to create a yard where K9 officers could train and work with their dogs. This area also was a place where the officers K9 partners could freely stretch their legs in a nice grass area that was fully fenced off. Many times, our officer’s breaks are eating a quick bite in their unit has they go from call to call that is unhealthy for the human officer as well as their canine partner as well. Per city and Rialto Police Officials Officer Anderson failed to obtain the proper permits for fence installation and pulling power for outdoor lights to the K9 yard. Officer Anderson is also being attacked for dog food donations from a private pet store to the 501c3 nonprofit The Fiends of the Rialto K9 Association. These donations saved the city thousands every year because instead of using the food vouchers at Pet Smart K9 officers were using donated food to feed Rialto Police Dogs. There is a mountain of lawsuits and complaints that have been filed against the Rialto Police Department over the last year-and-a-half. Dozens of officers are suing the department for racial age and disability discrimination. For the last year, the word out is that morale at Rialto Police Department is at an all-time low. One must question the amount of money these actions will cost the city in future litigation. None of the officers in question made themselves available for questions. Reports of these actions came from officials within the City.